First of all please allow me to apologize for my weeks worth of being MIA. The reason for this is really quite simple, its finals week or more to the point in my school its more like two weeks of finals. I have been working like a crazy person trying to keep up with everything I’ve had due these past couple of weeks and let me tell ya, it’s not an easy job. I am almost at the end of it though. In fact, tomorrow I have my two final exams, one after another. I will be studying into the wee hours of the morning most likely and then possibly fall asleep on my desk like the snazzy photo I included. So I wanted to explain that but also wish everyone that is doing finals this week, good luck or if you did yours last week, I am sure you got straight A’s. I am just praying for the best in my own exams and I am going to do something I rarely do right now. 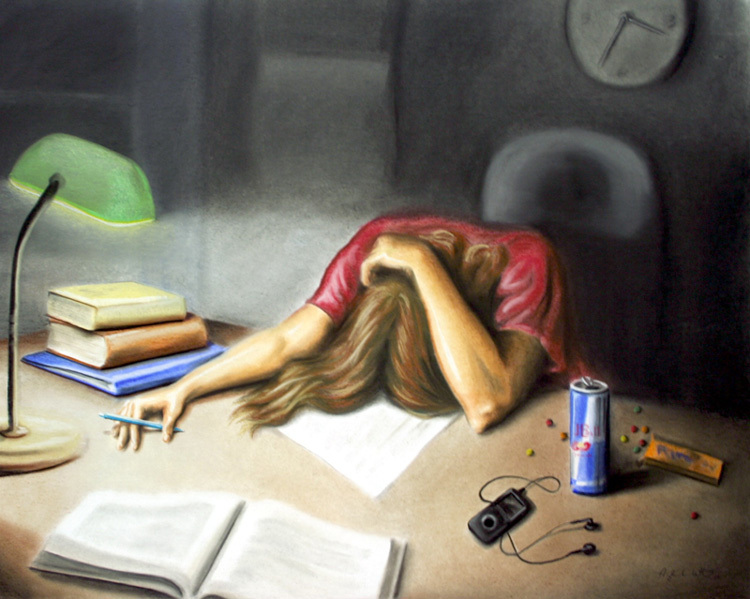 I am going to include a second image to go along with the post because when I was looking up images for ‘finals week’ I found this and it’s just too awesome. Hopefully you can read that because it’s pretty amazing. 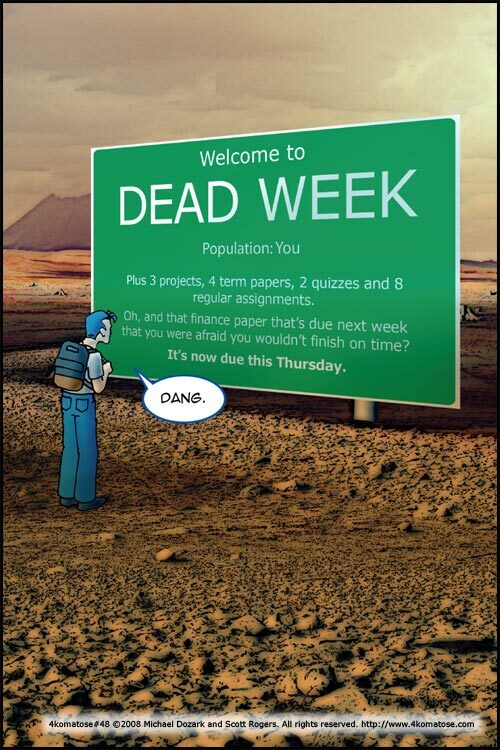 I am not too crazy how about they call it dead week but then again all the text underneath is pretty much how the past two weeks of my life has been. Full of tests, portfolios, essays, quizzes and exams. Aside from that, the weather is Asheville has been pretty darn cold and my fingers are continually freezing even when I am wearing gloves. Does anyone have tips for keep these fingers warm? Lastly I had my birthday on December 13th and I am now the grand old age of 19. That means only one more year to be a teen! I can’t tell you how freaky this is for me but at the same time I intending to make this year, the best year yet. Therefore I suppose I am excited and nervous about turning 19. It’s another day in our 25 Days of Christmas holiday blog experiment and today for the first time in a long time I experienced snowflakes on my eyelashes. 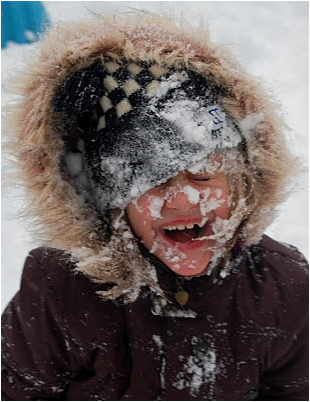 Granter I was not covered in snow like the little girl in the photo I included but when I woke up in Asheville, NC this morning I was enthralled by the snow raining down outside by window. Low and behold when I walked outside the snow was falling on me and when the snowflakes landed on my eyelashes I was in heaven. I forgot how wonderful it is to have delicate snowflakes on my eyelashes. It may be a simple thing but it makes me happy. Does it mae you happy? Let me know and if you’re in a state thats snowing right now how much snow are you getting? It’s day three of our 25 Days of Christmas holiday blog festival and today I want to share you my new favourite Christmas Song. A couple of weeks ago iTunes gave me a free song from a new artist, Dave Barnes and I fell in love with it. I thought no where his new song could be topped but low and behold when I was browsing YouTube I found another christmas song by David Barnes. It’s called Christmas tonight and it’s quite wonderful. The song reminds me quite a bit of Baby it’s Cold Outside by Dean Martin which is another song I adore so for today check out this wonderful song and let me know what you think. Tolkein was perhaps one of the most influential writers of the 20th century and it turns out he was pretty smart. I thought the quote above was perfect for the holiday season. How about this year instead of fussing about who has the most gold a.k.a who gets the most expensive present, we focus on food, cheer and song a.k.a the simple things in life. What if we valued spending time with our families, eating good food and if you enjoy singing, singing christmas carols or any other song you feel obliged to sing. Why don’t we value the simple things over our hoarded gold? The simple answer, we’re humans. Which means we’re greedy and want the new shiny things but as humans we also have the capacity to change. So this year instead of your entire christmas season being about who got the best most expensive present why don’t we focus on good food, being cheerful and singing our hearts out. Just a thought.